Get quality comprehensive insurance policy on your marine assets in Florida. to obtain the best protection for your boat, yacht and marine equipment for the lowest rates. Florida has one of the highest concentrations of boaters in the country and Boca Raton in particular with its many inland canals and easy access to the Gulf and Atlantic Ocean. If you can enjoy freshwater or saltwater boating, the Sunshine State is the place to be. With that comes the responsibility of protecting your boat and your personal assets from liability damages with marine insurance. Some carriers require boat owners to be a Florida resident so the boat is not owned by an absentee owner and the vessel can be taken care of in case of windstorms or floods. Optional yacht and boat insurance coverage for the Bahamas can also be added to your boat insurance policy. 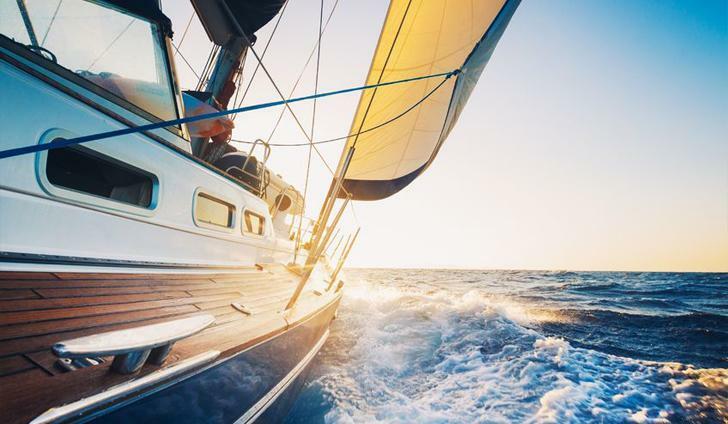 Sailboat insurance rates are lower because of less risk, but may require additional coverage for the boat’s mast. Damages to the engine can be covered with for repairs or replacement of the lower unit of an outboard motor, or upper & lower units of an inboard/outboard motor in the event of a mechanical failure. 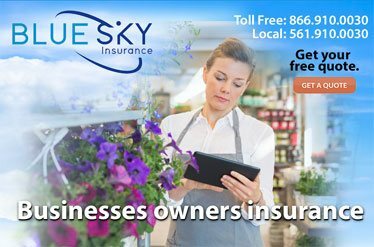 Let us find the right Florida insurance policy for your small boat, yacht, powerboat, live-aboard houseboat, bass boat, pontoon, or catamaran in Boca Raton and throughout the state of Florida. Price out your boat insurance policy online with our online insurance calculator for boats, yachts and watercraft. We also sell personal water craft insurance for watercraft such as waver runners. 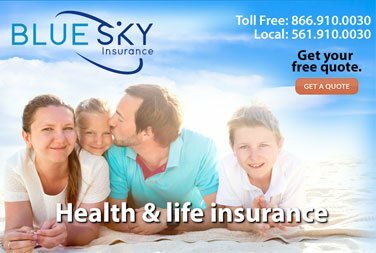 So while on the waters of Boca Raton or anywhere in Florida you have assurance that you are well protected at the lowest premium rates available. 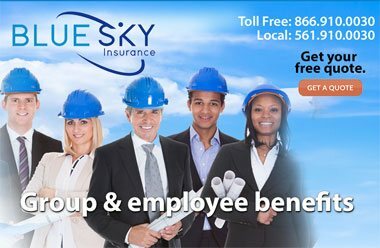 Contact Blue Sky Insurance® agency and let our brokers go to work for you by searching multiple insurance carriers for the best policies custom tailored to suit your needs. 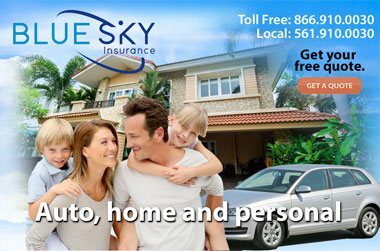 You can also use our insurance quote calculator and get a quote online in just minutes.